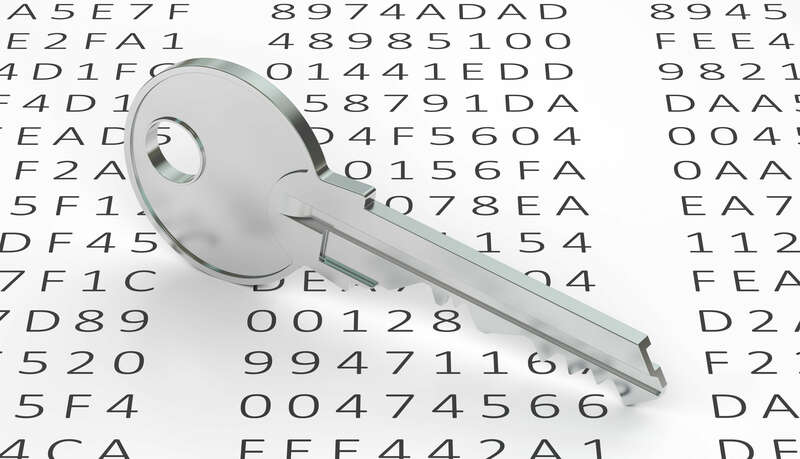 The most useful tool for cybersecurity is encryption. But for many, sharing encrypted documents and files isn't affordable or straightforward enough for everyday use. At least until now, that is. 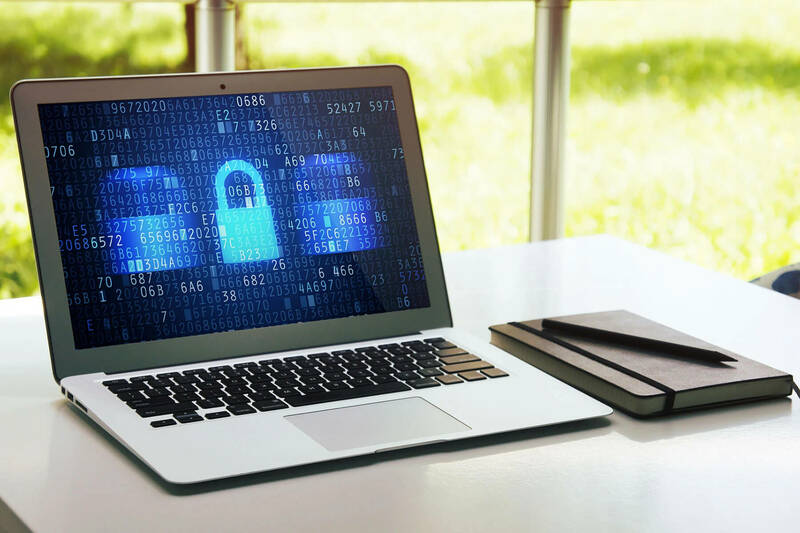 If you need to share documents and files on the internet but need security, encryption is the key. Historically, sharing an encrypted document from end-to-end has been a clunky process requiring a paid software service. 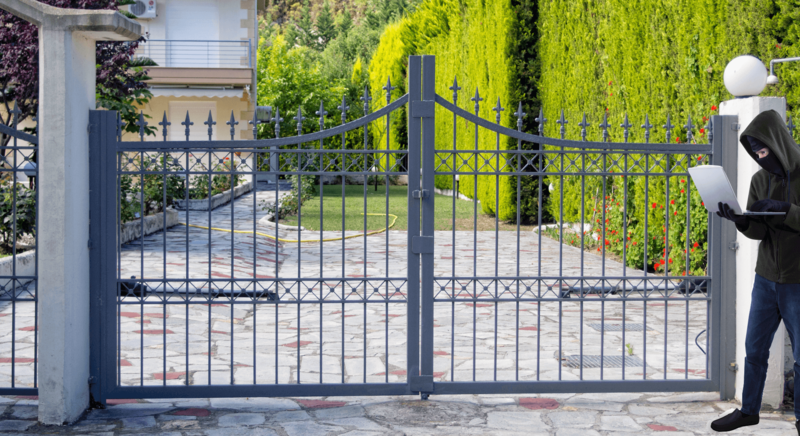 The ideal and most secure approach to sharing encrypted information is "end-to-end." "End-to-end encryption is a system of communication where only the communicating users can read the messages. In principle, it prevents potential eavesdroppers – including telecom providers, Internet providers, and even the provider of the communication service – from being able to access the cryptographic keys needed to decrypt the conversation." Wikipedia. In the past, end-to-end encryption was out of reach for consumers as a tool for personal use. Even businesses found it expensive and in many cases, counter-productive to normal operations. Now there is an easy way to share documents and files with the security of end-to-end encryption, and it's from Mozilla, the nonprofit provider of great internet tools built for privacy and information security. The service is called Firefox Send, and it's free. NOTE - It's not a coincidence that the best browser for privacy and security is also brought to you by Mozilla. The Firefox browser is the best bet as your default for everyday use, and it is also free. More here. 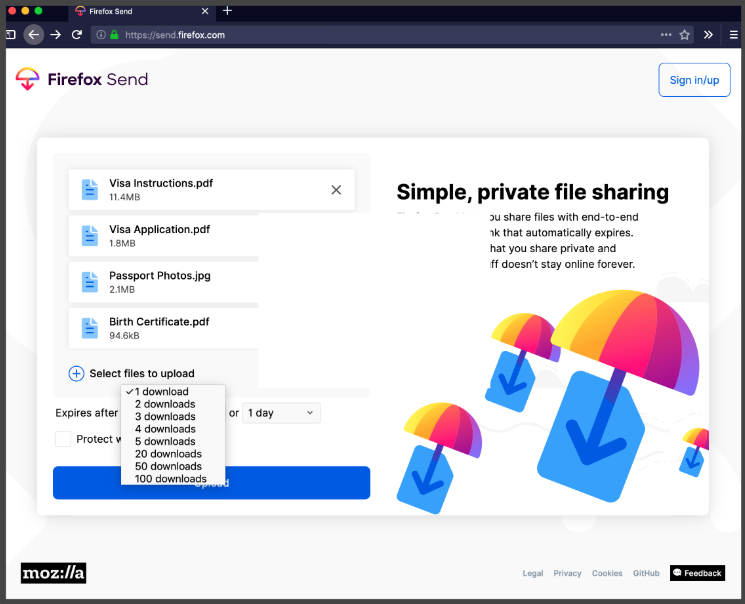 Firefox Send is a free encrypted file transfer service that allows users to safely and simply share files from any browser. It's a good idea to create an account with Firefox, if you have not already done so. Creating an account will give you access to more privacy and security features with all of Mozilla's internet products. *** Remember to use a great password for important accounts, like Firefox. And for best results and optimal security, we suggest using a password manager. Here is our top recommendation. Subscribe to the CyberAdvisor monthly newsletter, here. What's the Best Browser for Privacy and Security?